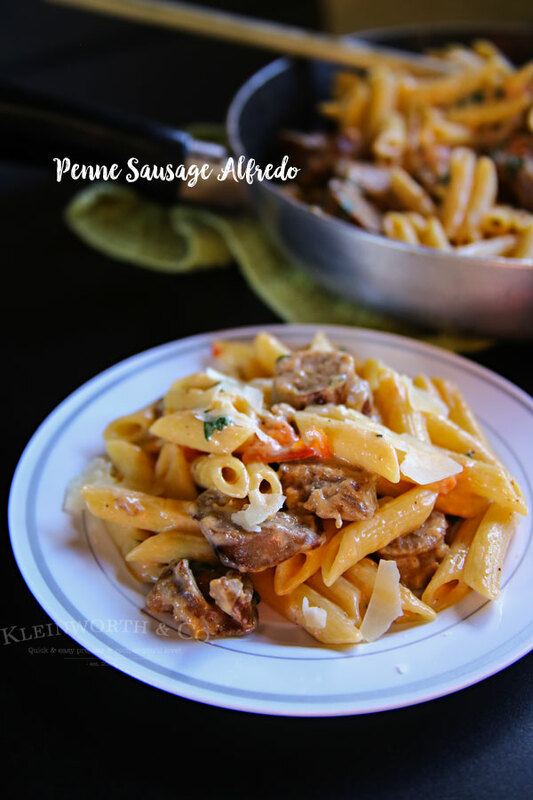 Penne Sausage Alfredo is an easy family dinner idea that costs less than $10 to make. 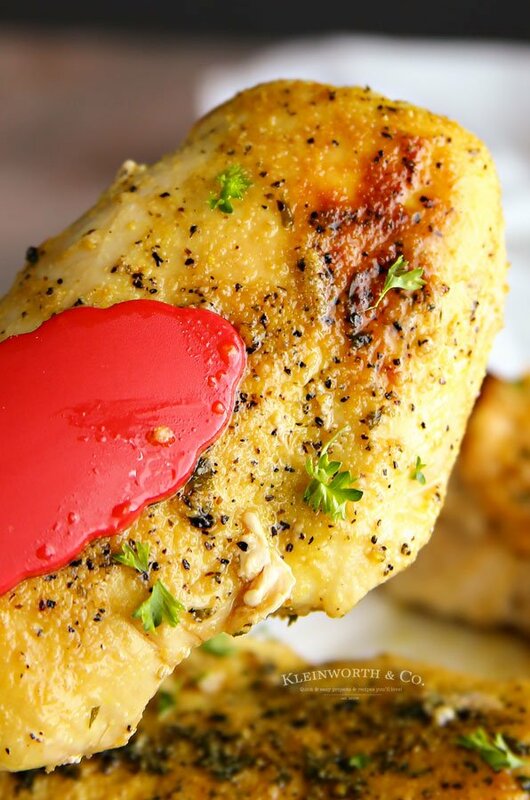 Simple & quick, ready in less than 30 minutes. You can’t beat it! Do you struggle with dinner time? What to make for dinner is probably the most asked question in our family. For me, quick & easy is key but so is affordable. With 3 teens who have never-ending appetites, making enough food in order to keep them happy & stay under budget can be a challenge. 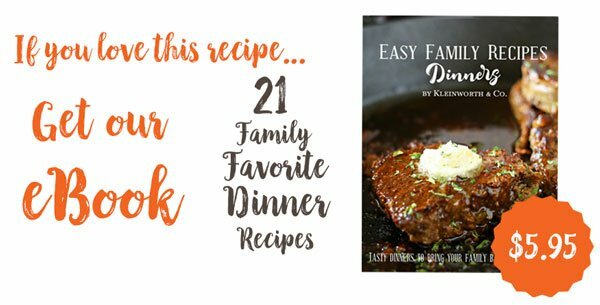 So when I come up with recipes that make dinnertime easy, I love to share my excitement with you. 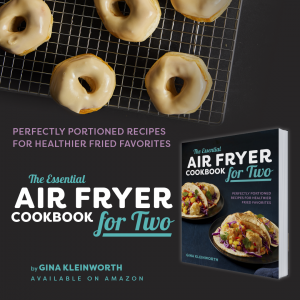 I know you probably have these same struggles & it’s great when I can share a new recipe that everyone loves & saves my pocketbook too. 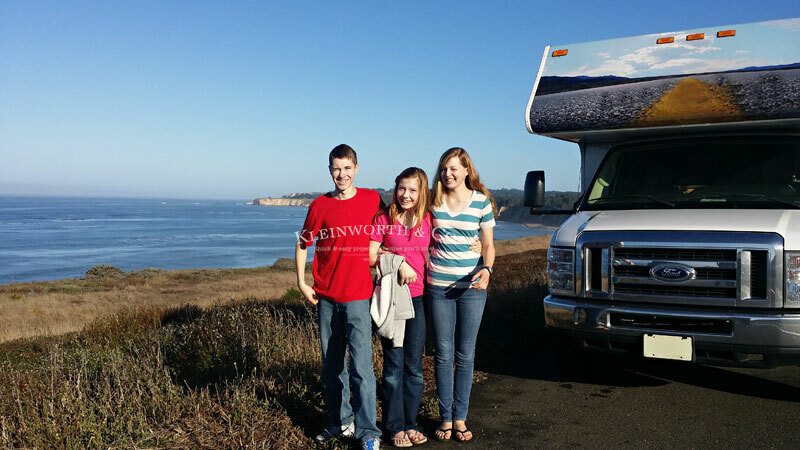 We just returned from a 3200 mile road trip down the California coast. I wanted to feed us all economically on the trip because eating out for every meal when you are a family of 5 can get really expensive. We had the kitchen right in our RV & intended to use it. We planned our meals carefully with a budget of just $10 a day for dinners & I headed to my local Kroger store to shop for my meals. I had to get creative & sometimes that’s when the very best recipes seem to happen. 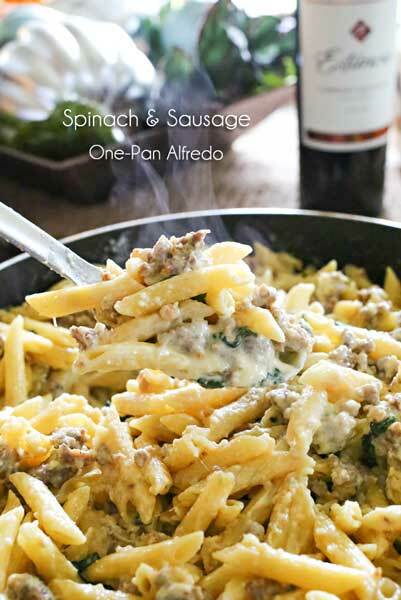 For this recipe, I started with 1 box of Barilla Penne pasta noodles & 1 package of Johnsonville Italian mild sausage. Then we added some fresh spinach & tomatoes along with delicious Barilla Alfredo sauce. 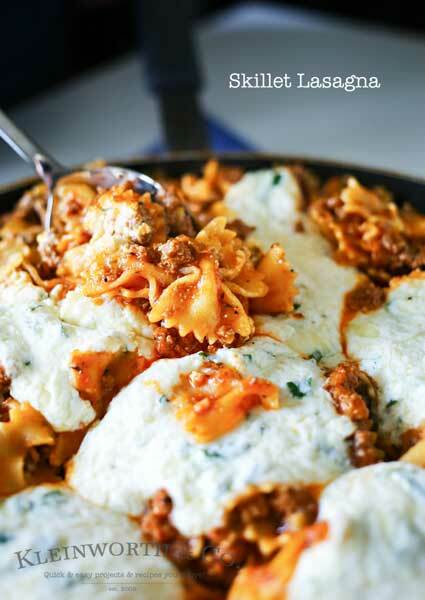 Just top it with some Parmesan cheese & it makes for a really tasty meal. 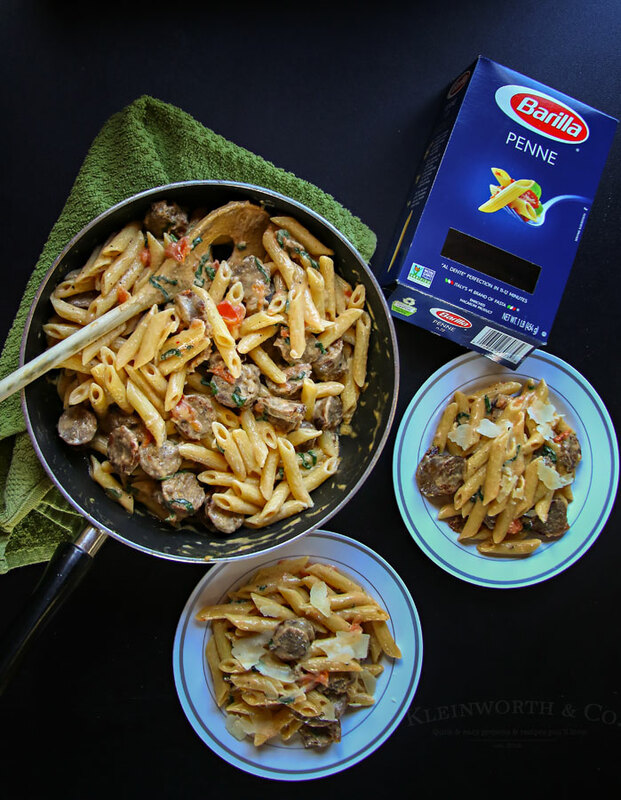 Barilla brings Al Dente perfection to every pasta meal. 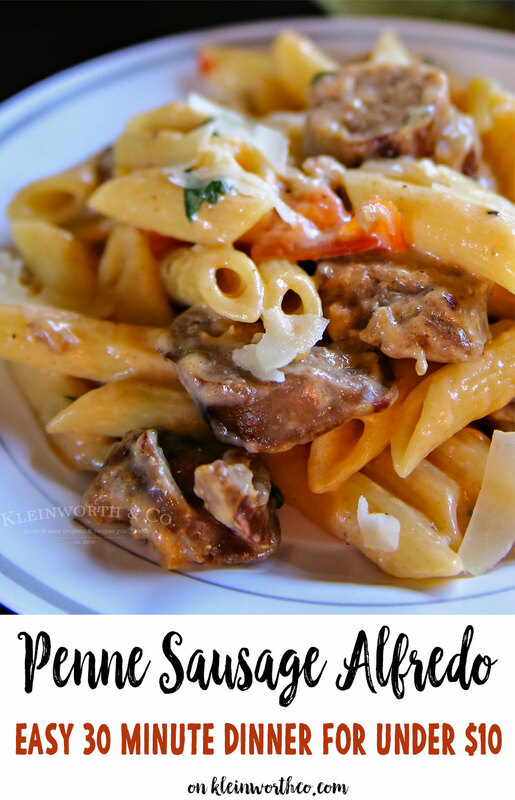 My favorite is penne, how about you? 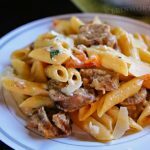 Do you love penne? 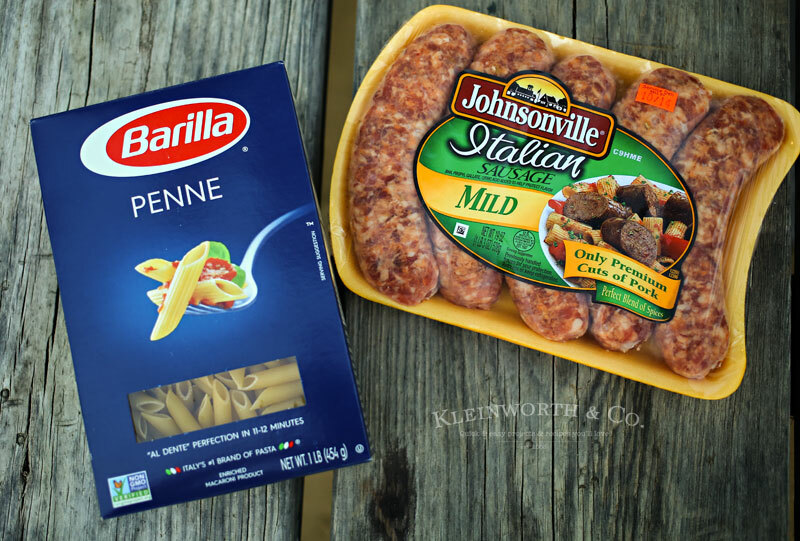 Pairing the penne with protein-packed Johnsonville Sausages really make the meal flavorful & hearty. I love that it didn’t take much time or money to feed my hungry crowd. 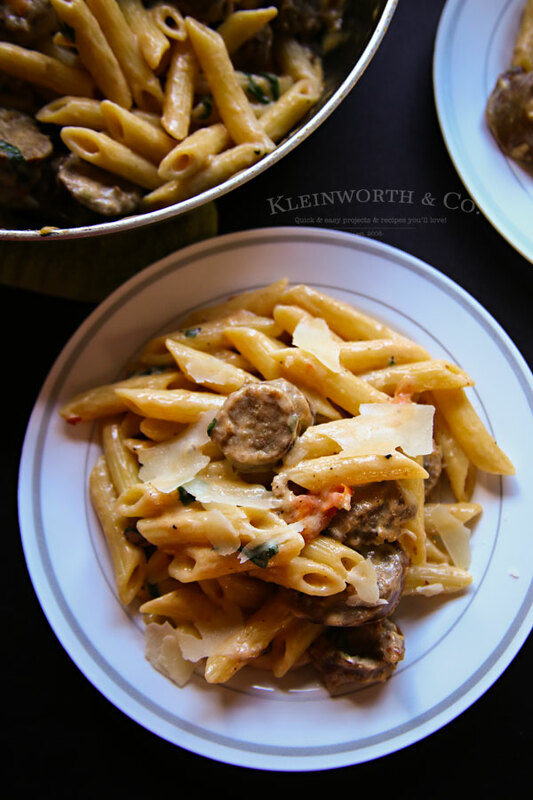 Easy 30-minute pasta & sausage dinner idea for less than $10. You can’t beat a $10 dinner for 5 people & it was crazy good! This is my kind of recipe. I have a family of six, so we usually eat in and I like quick prepare meals. 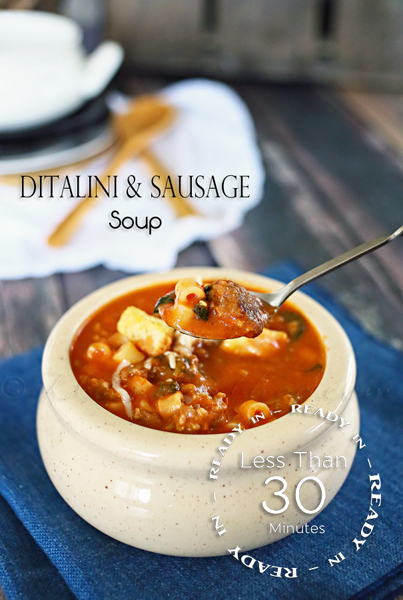 Thanks for sharing this recipe on Merry Monday. Pinned.